The 18th IEEE International Conference on Harmonics and Quality of Power (ICHQP) will be held in Cankarjev dom – Cultural and Congress Centre Ljubljana between May 13-16 2018. The IEEE PES ICHQP 2018 conference, that will gather around 500 attendees from all over the world, is being organised by University of Ljubljana, and Faculty of Electrical Engineering. 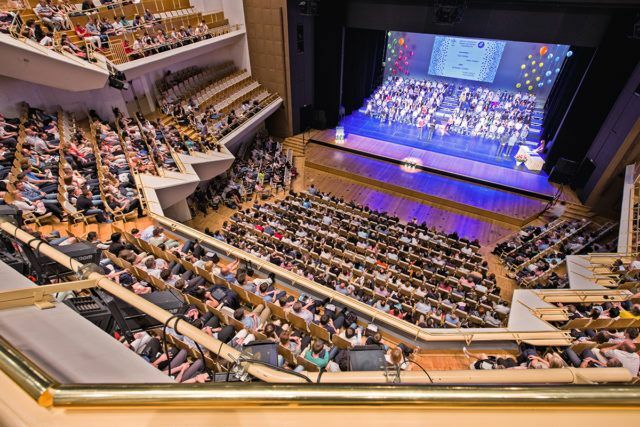 The conference, held in Cankarjev dom – Cultural and Congress Centre, will cover plenary sessions, keynotes, panel discussions, paper and poster presentations and also tutorials. IEEE (Institute of Electrical and Electronics Engineering) goes back to 1884 when electricity began to become a major influence in society. Today, IEEE is an association dedicated to advancing innovation and technological excellence for the benefit of humanity and the world’s largest technical professional society. It is designed to serve professionals involved in all aspects of the electrical, electronic, engineering, and computing fields and related areas of science and technology that underlie modern civilization. It creates an environment where members collaborate on world-changing technologies, from computing and sustainable energy systems to aerospace, communications, robotics, healthcare, and more. IEEE and its members inspire a global community to innovate for a better tomorrow through its more than 423,000 members in over 160 countries. The ICHQP Conference will be attendeed by participants from universities, research c entres, utilities, industries and regulatory agencies that will discuss and present topics related to power quality like Harmonic Stability in Power Electronic Based Power Systems; Voltage Fluctuations and Light Flicker in Modern Electrical Power Systems; Power Quality in the view of Standardisation and Energy Markets; Power Quality in Distribution System; New Challenges and Issues Related to Interharmonic Distrortion; Power Quality, Economics and Liabilty; Harmonic Modeling and Stabiliby in Renewable Energy Systems, etc. Such an important scientific event furtherly proves how Cankarjev dom – Cultural and Congress Centre is a home not just for culture, but also for science. In fact, some of the most prominent congresses, including the 18th IEEE PES ICQHP 2018, that mark Slovenia in the world’s science map, are hosted in Cankarjev dom.